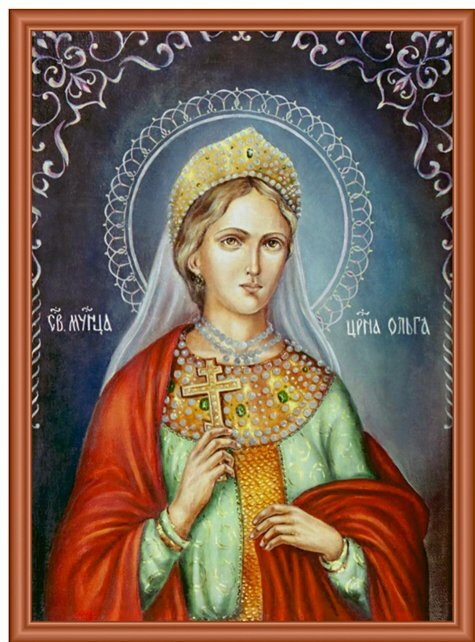 Antonina, thanks for the last icon, interesting. 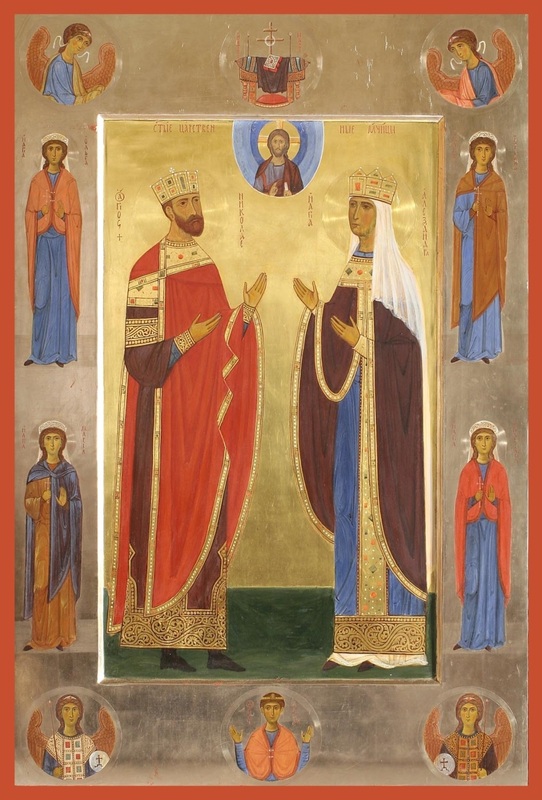 The iconograph probably wanted to show the "passion bearing" aspect of Tsar Nikolaï, perhaps making a parallel with Job. As for the icon of GD Serguey Alexandrovich: there are people nowadays who are ready to canonize every imperial person who suffer more or less and - before all - represent authority, autocratism, strong Russia and strong Empire. 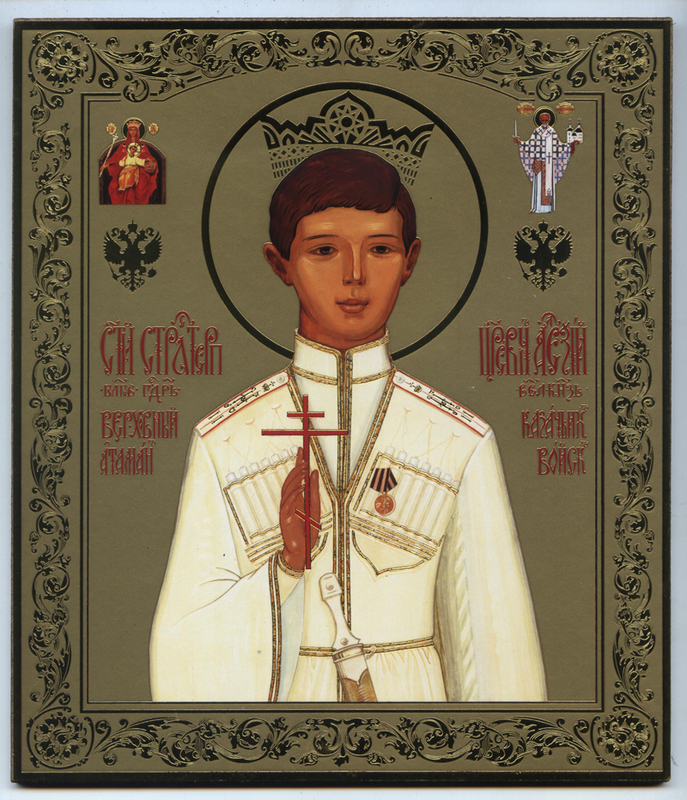 They paint icons of Ivan the Terrible, of Paul I, of Serguey Alexandrovitch, of Stalin (yes! ), of Rasputin... This icon is not canonical at the moment. 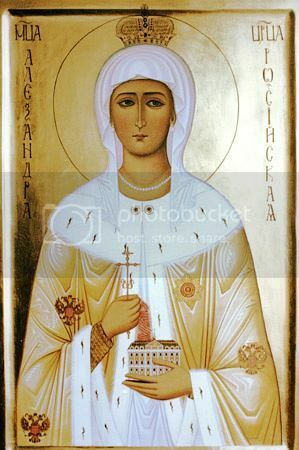 Near Sergey Alexandrovich'grave, in Moscow, there is no icon, only a photograph and an icon of Elisabeth Feodorovna. I really like the icon of the four grand-duchesses posted by Bod. A big thank you. It is really beautiful and fully follow the tradition and the canons. Perhaps will I one day command one like this. Sorry for the bad quality (and the small size) of the picture. This icon is familiar to the ones posted on page 1 & 2 of this thread. 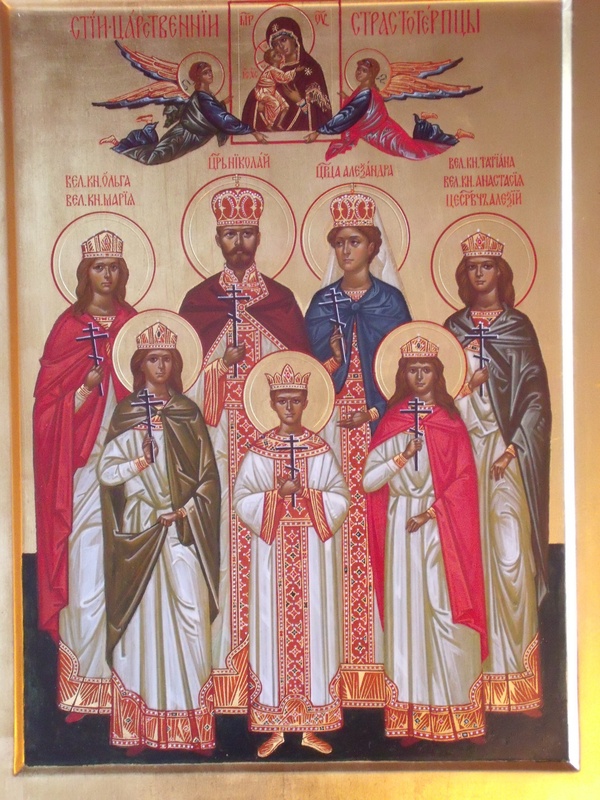 Interesting that the background building for this icon of the seven Romanov saint/martyrs is the Livadia palace. 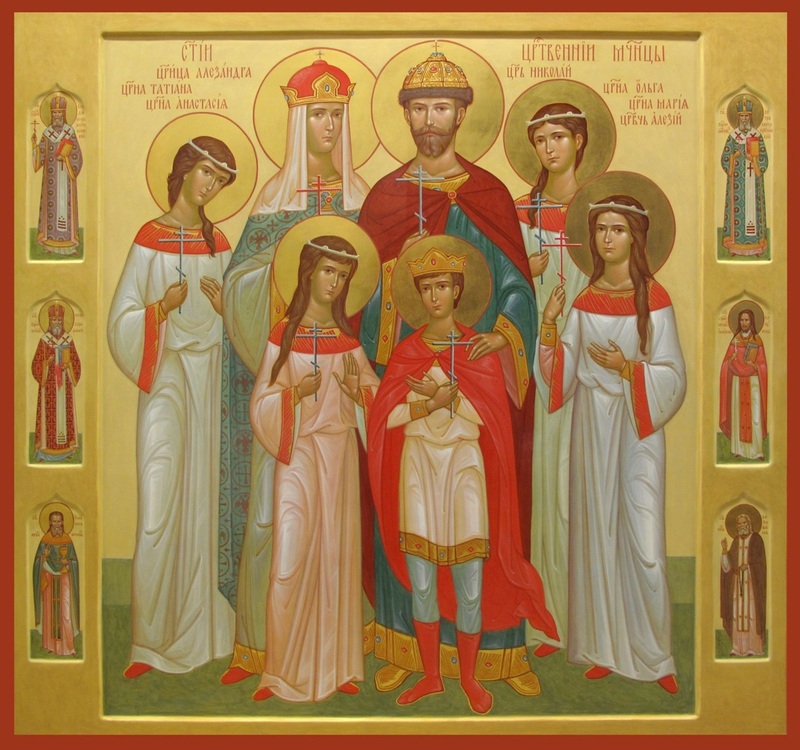 Although beloved by the IF , it has nothing to do with their murders, burial, major churches where they worshiped, or indeed, with any significant saint or important Russian Orthodox church history. But then , maybe the point is that Livadia WAS such a personal haven for them. Maybe the image is located in the Crimea? And the artist wanted to use a commonly recognizable building for the background, as well as underline the relationship the Romanovs had with the place? 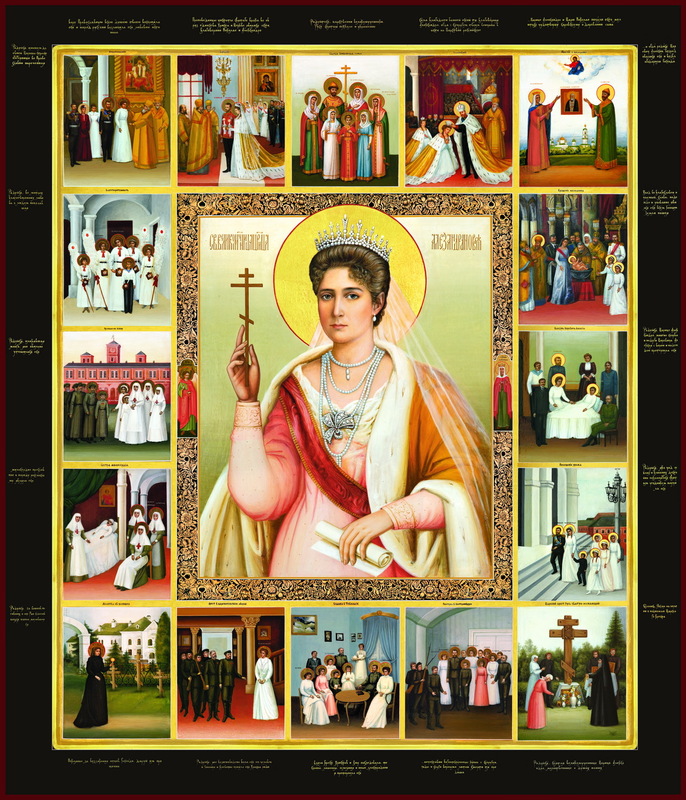 According to the Orthodox calendar I use, they are all commemorated and recognised as Saints.